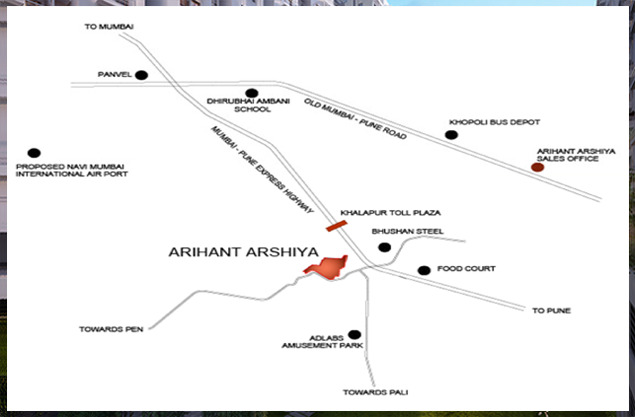 Arihant Arshiya is one of the most beautiful residential gated community at Khopoli, Mumbai introduced by India’s renowned affordable housing real estate builder & developer Arihant Superstructures Ltd. Arihant arshiya is offering 1600 flats which consist of studio, 1 & 2 BHK units. Arihant Superstructures Ltd. is one of the renowned affordable housing real estate builder & developer of India. Arihant focuses on five key attributes which drive success. These are Transparency, Satisfaction, Returns, Relationships and Value for Money. I wish to acknowledge with thanks the services provided to me by SquareYards. I value them for their prompt responses, clear and precise communications, and timely reminders. Appreciate the good job! Keep it up! You will go far!